Remember the Motorola Razr? It looked nice, was expensive and profitable, and people liked it. Sure, it was a piece of junk, with a failure rate that rivals the original Xbox, but people liked it. Today, Motorola is repackaging their junk. These days, motorola has the stink of bottom feeders. Their phones are dirt cheap, unprofitable, people don't like them, and they look like the junk they are. 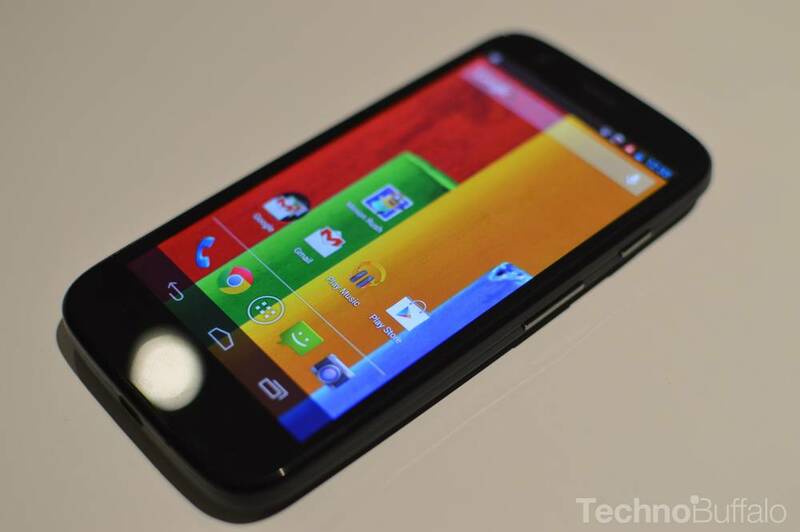 Say hello to the Moto X and the Moto G.
You don't have to take my word for it. Here are the cold, hard facts. Since the Moto X went on sale, it has only moved about a half a million devices. It all seemed like a winning formula, and the Moto X was supposed to be Motorola’s great rainbow-hued hope. The company had struggled for year, and the Moto X was meant to announce its renewed relevance under Google’s ownership and guidance. But today’s revelation didn’t do much for morale. Though the Moto X was supposedly a decent phone, decent, not great, some placed the blame squarely on price. On the surface, that criticism didn't make a lot of sense seeing that it undercut Apple's entry level model by a few dollars, and its flagship by over a $100. But who are we kidding? No Motorola phone compares to an iPhone. It is really about how it stacks up to other Android phones. And that is where we get to the rest of the story. High-end Android phones do not sell unless they can be bought for next to nothing on contract. Mass-market Android phones range from $100 - $300 off contract. In other words, if you want to compete in the Android handset market, you have to be cheap, really cheap. The Moto X was priced to compete with the iPhone 5C. Fools! They should have been trying to compete with the likes of the Lumia 520. So that is exactly what they did with the Moto G.
That's better. Now, perhaps Motorola can sell a few of these now that they have had a harsh reminder of who they are, and who their customers are. They are Google's play thing, until they become tiresome. Their customers are the ones who have to borrow $200 to buy a $200 phone off contract. Never again will a Motorola phone sell based on style and popularity. From this moment, on, it is all about the Android ethos: make them cheap and plentiful, and the masses will settle for whatever they can afford. The Moto G is a perfectly acceptable phone for which to settle, for a person who doesn't care about phones. Android has just about 100% of the market of people who just don't give a rip.